Paris Saint-Germain will be up against Troyes at Stade de l’Aube on Saturday with a rather different starting XI to the one that we expect to be out on Tuesday in their crunch match at the Parc des Princes next Tuesday for their crunch tie in the Champions League round-of-16 second leg at home to the Spanish giants, Real Madrid. The French capital giants’ manager, Unai Emery, looks to be ready to rest the likes of their Uruguayan Star striker Edinson Cavani, Marco Verratti and Javier Pastore with their must-win match against the Galacticos in mind. Their record breaking signing, Neymar Jnr is set to undergo surgery in his homeland, Brazil while their budding French star, Kylian Mbappe an Marquinhos are still struggling in their quest to attain full fitness ahead of next week. All eyes are therefore on Liberia’s prince Timothy Weah, son of the current Liberian President and African Footballing legend, George Weah. The African prodigy who opted to ply his trade for the U.S youth international squad, is part of the 18-man squad named by Emery to travel to Troyes as one of the only recognized striker alongside the likes of Angel di Maria and Julian Draxler. The highly rated teenager has made seven appearances for PSG’s under-19 team in the UEFA Youth League this season and has already found the back of the net against Celtic last September. With the PSG manager stating that we should expect new faces in the weekend fixture, this should be a thrilling encounter. This is simply a clash of two at opposite ends of the French League table. On paper, the home side who are more in need of the points as they sit 18th after 27 games on just 28 points. However, despite the loss of Neymar amongst other rested key players, we see PSG winning this game comfortably as their reserve team is capable of trumping the relegation battlers, Troyes. In the 20 previous games Troyes have won two while PSG have won 14 and four have been drawn. PSG comfortably won the reverse fixture 2-0 earlier in the season. Tottenham Hotspur are hoping to move up to 3rd in the Premier League with a win over the season English Premier League surprise package, Huddersfield on Saturday. 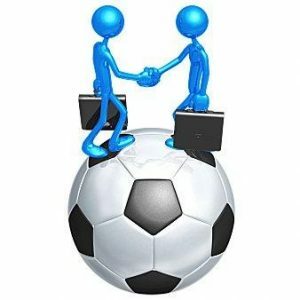 Read on for all our free sportpesa predictions and betting tips. Tottenham looked like they would struggle on Wednesday night in their FA Cup tie as they went into the break tied 1-1 with Rockdale at Wembley after an incident packed first half where the failures of VAR proved to be the main talking point. The second half quickly put any potential cup upsets that have been a constant presence in the FA Cup to rest though, as Spurs ran riot to eventually win 6-1 and book their place in the next round of the FA Cup. This extends the North Londoners unbeaten run to an impressive 16 games in all competitions, including a shock away come back resulting in a draw against Juventus in the Champions League and wins over Arsenal and Manchester United. In the English Premier League alone they are enjoying the longest current unbeaten streak of all the teams, winning seven and drawing three of their last ten outings. This has propelled them up into the top four, and a win on Saturday could send them up to 3rd and just one point behind Manchester United who currently sit in 2nd. Huddersfield on the other hand have enjoyed a vital resurgence recently though, winning their last two in the Premier League and subsequently pulling themselves away from the hotly contested relegation zone. They are still only three points above the bottom three though, so there’s still a lot to fight for as dropping points could send them right back to the dog fight at the English Primier League Table. The Terriers are unlikely to pull further clear of danger this weekend though as they are up against a really good Spurs side with Dembele drawing praise from fans and critics alike for his exemplary displays of late. Away from home, they have lost nine of their 14 Premier League games, and none of their wins or draws have come against sides in the top six. Meanwhile, Spurs have banished their Wembley hoodoo and are currently enjoying a 13-match unbeaten streak in the English capital. They have won nine of the last 11 and kept a clean sheet in six of these matches. Considering the fact that Huddersfield have failed to score in every single one of their away losses this season, backing a Tottenham Win looks like a great bet. 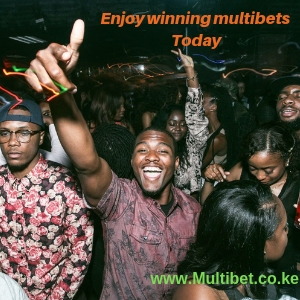 At Multibet Kenya, we have free Sportpesa Today Games Predictions every week! Harry Kane, arguably the 2017/2018 player of the season scored twice as Spurs comfortably beat the Terriers 4-0 in September and another convincing win could see them end the weekend five points ahead of the reigning Premier League champions, with Chelsea up against Manchester City on Sunday. Huddersfield have won back-to-back league games for the first time since the opening two weeks of the season to boost their survival hopes. In terms of team news, Tottenham are hoping to welcome back highly rated centre-backs Jan Vertonghen (ankle) and Toby Alderweireld (thigh). Their manager, Mauricio Pochettino said on Tuesday that Vertonghen could be fit for this weekend’s encounter. The pair both missed a league game for Spurs for the first time since 2015 last weekend, with Davinson Sanchez and Eric Dier tasked with filling in a back four against Crystal Palace. Heung-min Son may have played his way back into the starting XI after a dazzling showing as Spurs hit six against Rochdale in the aforementioned midweek FA Cup tie, while new signing Lucas Moura put in another eye-catching shift. Huddersfield star player, Aaron Mooy (knee) is in a tight race to be fit to face Tottenham but Huddersfield are more confident over Chris Lowe (hamstring) and Philip Billing (ill) being fit and ready for this crunch tie. Sean Scannell (shoulder), Elias Kachunga and Jon Stankovic (both knee) are still a few weeks after from a return. Tottenham Hotspur are unbeaten in six games in all competitions against Huddersfield (W3 D3), since a 1-2 home defeat in April 1956. Huddersfield Town haven’t lost both league meetings with Spurs in a single season since the 1953-54 top-flight campaign, though this is only the fifth campaign they’ve met in since then. Spurs are unbeaten in their last 33 Premier League games against newly promoted sides (W31 D2) since a 0-1 loss at QPR in April 2012. Indeed, they’ve won their last 15 in a row against promoted sides – the third longest such run in Premier League history (Chelsea: 27 between 2002 and 2006 and Manchester United: 17 between 2006 and 2009). The Terriers are unbeaten in their last four competitive visits to Wembley Stadium (W1 D3), with the last two finishing 0-0, both of which they won on penalties. Spurs are currently enjoying the Premier League’s longest unbeaten run (10 games – W7 D3 L0), last losing at Manchester City in December. Since the start of last season, Spurs have lost just one of their 33 Premier League home games, picking up 84 points from those games – more than any other side (W26 D6 L1). Harry Kane’s 24 goals for Spurs this season in the Premier League have been worth 14 points – the most of any player in the competition in 2017-18. If Kane scores, he’ll be the third player to have scored 25+ goals in three consecutive Premier League campaigns, after Alan Shearer (four seasons between 93-94 and 96-97) and Thierry Henry (three seasons between 03-04 to 05-06). Jan Vertonghen is a slight doubt for Spurs as he recovers from an ankle injury, whilst Toby Alderweireld will be left out after suffering a setback in his path back to recovery. Philip Billing, Aaron Mooy, and Chris Lowe are all doubts for the visiting Huddersfield, whilst Jon Stankovic, Elias Kachunga, and Sean Scannell are all injured too. We are going for a Spurs win as they have been in exceptional form since mid-December. Zenit started the season with huge ambitions under former Manchester City manager, Roberto Mancini. Nonetheless, their pursuit of the Russian League has been halted with a dreadful series of results back in October (five straight league matches without a win) forcing them to go into the winter break with an eight-point deficit to high-flying and runaway leaders Lokomotiv Moscow. With only ten games left to play until the end of the season, it’s clear that Mancini’s men simply cannot afford any slip-ups, especially against the bottom-half sides like Amkar Perm’. The visitors did not change their squad much compared to the first half of the season and it’s pretty clear that they will be in for a huge clash in their quest to maintain top flight status until the end of the season. Zenit have won 7, drawn 6 and lost none of their 13 home matches against Amkar Perm’. Overall, Amkar have only won 3 of 29 H2H clashes with Zenit. Only one of last five meetings has seen both teams on the score line. Zenit are massive favourites and we do expect to see a pleasant afternoon for the home team fans at Stadion Krestovskyi. Amkar have been struggling for goals ever since the start of the season and thus we are backing a convincing home win. Both on paper and on the pitch, Gor Mahia have the strongest team, and have not stuck to the same line up since the season started. On Wednesday, they managed to get a draw. When the two teams met last season in the reverse fixture, goals from Innocent Wafula and Godffrey Walusimbi reduced Noah Abich’s strike to just but a mere consolation. The last time Gor Mahia lost to Bandari in the Kenyan Primier league match was back in 2014 when they succumbed to a 2-1 defeat. Gor Mahia: Godffrey Walusimbi scored and provided an assist in the reverse fixture last season, and he will definitely be one to watch. Bandari FC Defender Benard Odhiambo proved to be the star against Wazito, and this time round, he should need no further motivation as he comes up against the champions, Gor Mahia. Former Muhoroni Youth star man Wycliffe Ochomo was not at his best in the team’s last outing, and he will defibtely need to work harder to score against Gor Mahia. We are firmly going in with awin for Gor Mahia. These two sides couldn’t have had as different levels of success in midweek. Lazio crashed out of the Copa Italia on penalties while, Juventus secured a meeting with AC Milan in the cup final by making light work of Atalanta by winning 2-0 on aggregate. The champions still remain in with a high chance of another domestic double, while securing a treble is firmly in their hands after a couple of near misses in recent years. However, the Old Lady have work to do in Serie A, as they’re a point off surprise leaders Napoli as we head into a huge weekend in Italy. Simply put, Max Allegri’s Juventus need to make sure that they come out of this clash with three points if they are to stand any chance at pushing the league leaders Napoli all the way to the wire. However, Lazio come in to this clash in great form and they should prove a tough nut to crack. Juventus are unbeaten in their last 12 league games (W11 D1) and have conceded just one goal during this period. In their last 13 matches across Serie A and the Copa Italia, they have gone on to rack up a commendable 13 victories, while they’ve won 12 of those matches to nil. They’ve got to be on a high with that form behind them, and that should see them claim some revenge for their loss at home to Lazio in the reverse fixture earlier on in the season. The fact that Lazio have an awful record in this particular fixture probably helps matters for the away side, too. They are without a win at home to Juventus in Serie A since December 2003 – with nine defeats and three draws in the process. Juventus have won their last four away matches to the Aquile, all of which have been without conceding a goal. Given their form, we’re backing a win for Juventus. This Saturday evening brings us a mouth-watering clash between Napoli and Roma. We all have been waiting an for opportunity like this to place our bets and earn some good money. Napoli hold the better record in the past six encounters held in Naples against the history-rich Roma with four wins, one draw and one defeat. The last match ended 1:3. With an average of 2.5 in terms of number of goals. Napoli has twenty-two wins, three draws and one loss after twenty-six rounds of the 2017/2018 season. Their last match was against Cagliari and the league leaders made minced meat of the opposition in that particular encounter. Jose Callejon scored after twenty-nine minutes of play to make it 0:1. Three minutes before half time, Dries Mertens made it 0:2 with a well worked goal. Marek Hamsik scored in sixty-first minute to make 0:3 to pull the match beyond reach. To add salt to injury, in the seventy-second minute, referee pointed to the spot and Lorenzo Insigne had no trouble in scoring to bring the match to 0:4. Mario Rui made it 0:5 in the dying minute to make it a total rout. Napoli has ten wins, two draws and one loss at home. Their form is currently great because they’ve won five consecutive home matches. The Napoli attackers have managed to score thirty goals in front of their home fans and that sets their mind at ease ahead of match this tantalizing match against Roma. Roma find themselves in fifth place after twenty-six rounds and they suffered defeat a week ago. They were up against AC Milan and despite a stalemate after the half-time mark, the Rossoneri took the lead after only three minutes of play in second half of the match to make it 0:1. Victory was confirmed in seventy-fourth minute when Ac Milan made it 0:2. Roma have seven wins, four draws and one loss in their away matches. The team from Rome conceded only six goals all their away games. They have also scored at least once in their last four matches. Enjoy what promises to be an excellent football match on paper at least when Napoli come face to face with Roma and try to earn money with our predictions and Sportpesa betting tips. In this particular match anything is possible and we expect lots of scoring chances and goals. Maybe Napoli have the edge to win all three points if current form is anything to go by, but it will not be an easy job. Our risky bet goes on to back Napoli to walk away with all three points as they have been on a hot streak this season when it comes to winning the big clashes. At Multibet Kenya, we have something for everyone.Whether you are a low risk high stake gambler or a high risk high stake football better ,we can accomodate you throughout the week with our well researched tips .